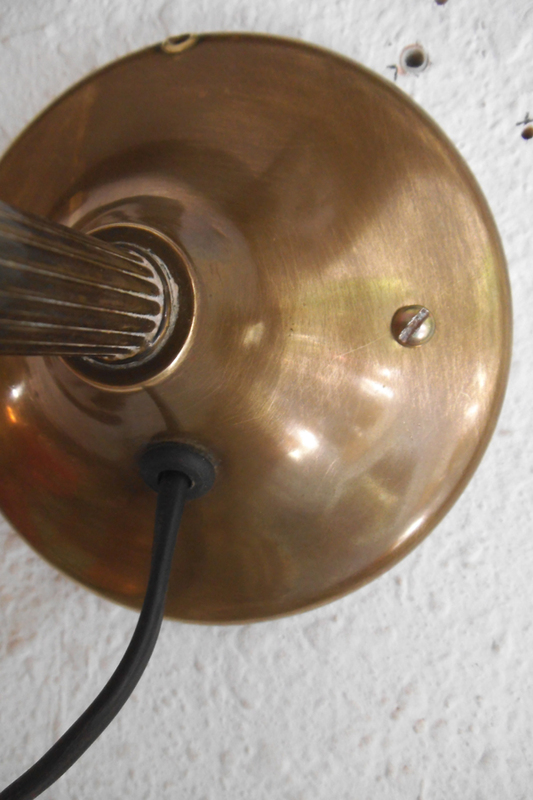 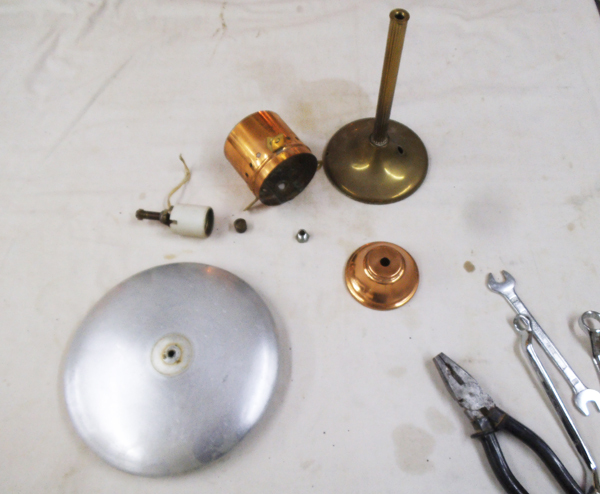 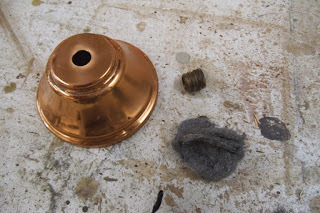 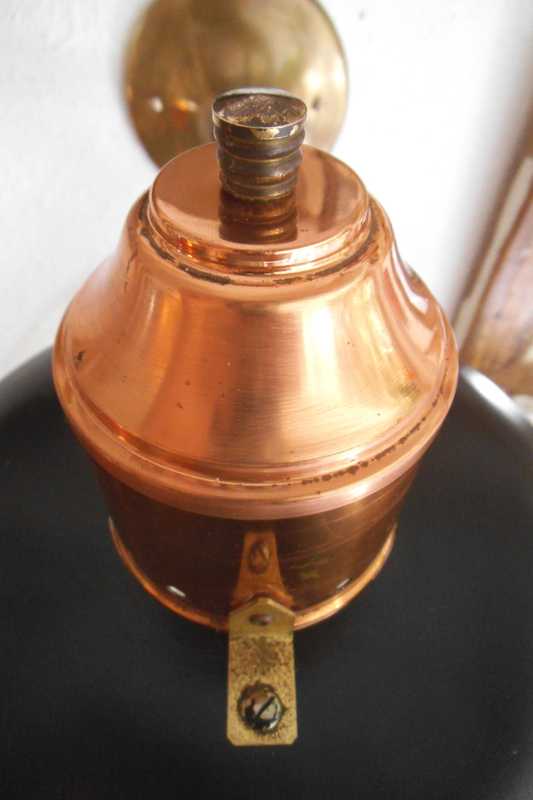 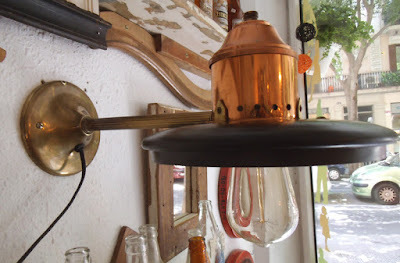 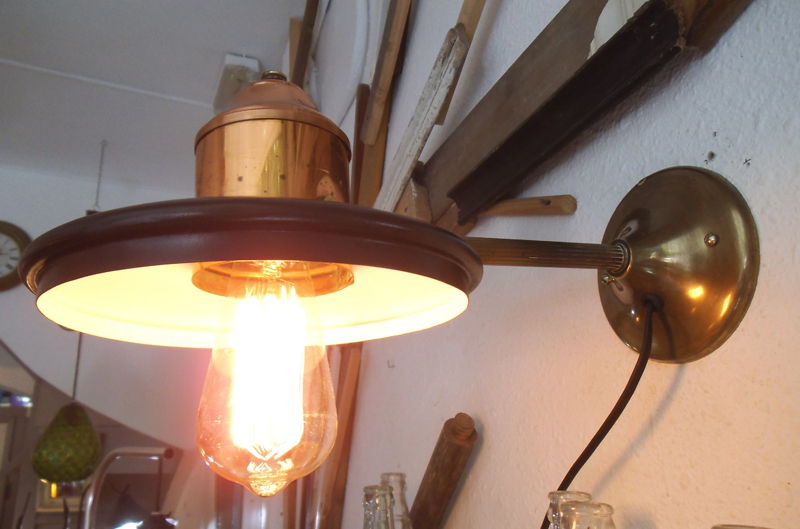 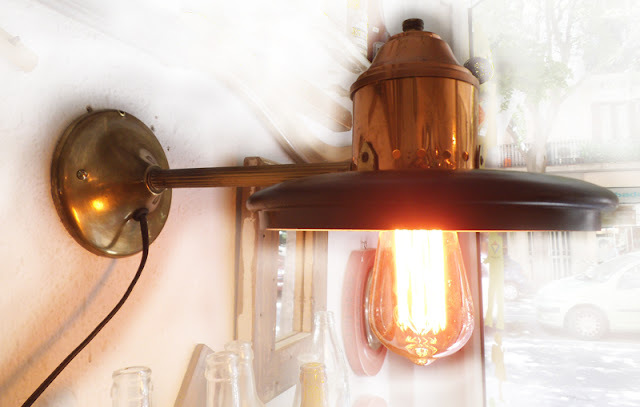 This is a proper 'Frankenstein' wall lamp, as it has been made joining a mix of parts taken from various origins: a solid brass Art Deco lamp base (used for the wall mounting), an old aluminium kitchen pot lid and the copper top of a lantern from the first decades of the 20th Century (to make the shade bit), a vintage porcelain bulb socket, various copper screws and new wiring. 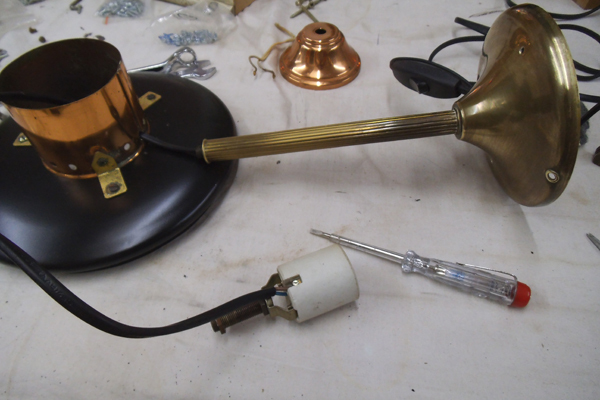 Check the exhaustive 'MAKING OF' section for further details! 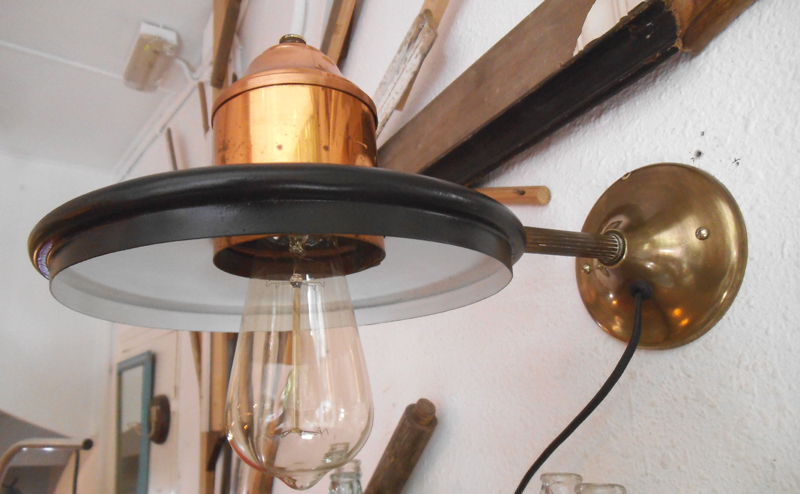 The end result is an elegant, full of personality sconce with a nice balance of industrial and nautical looks. 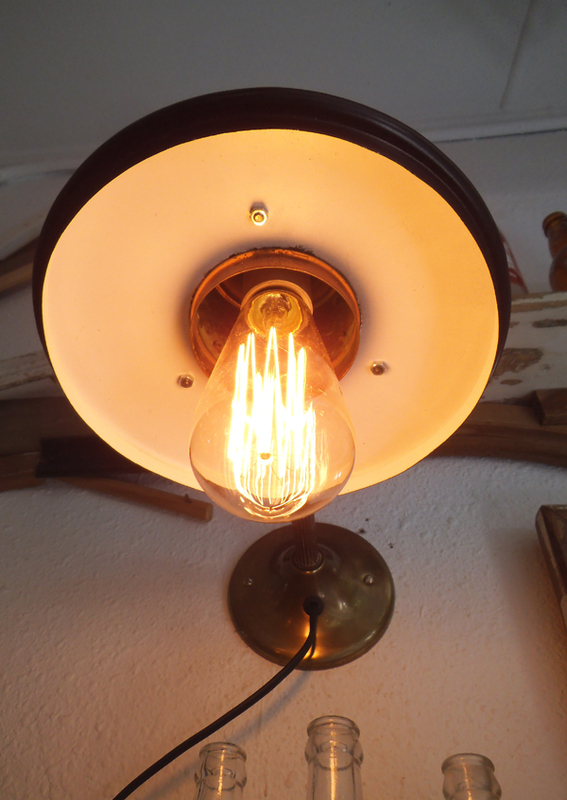 It gets enhanced with the use of a traditional 'Edison' tungsten bulb. 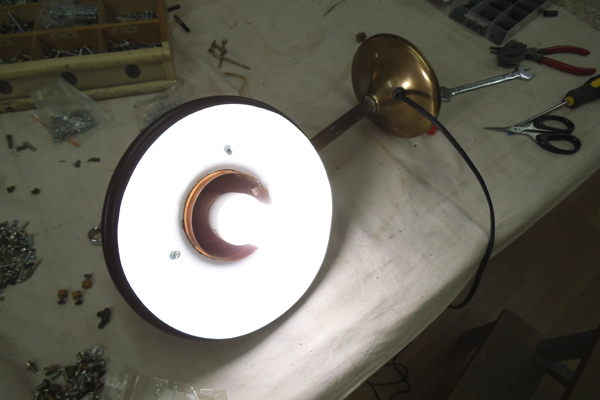 Measures: wall base 13cm diameter, shade 21cm diameter, 12cm high. Total lenght from the wall 37cm. 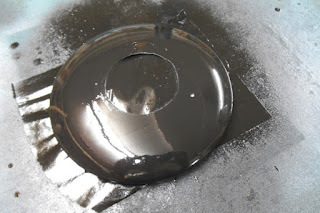 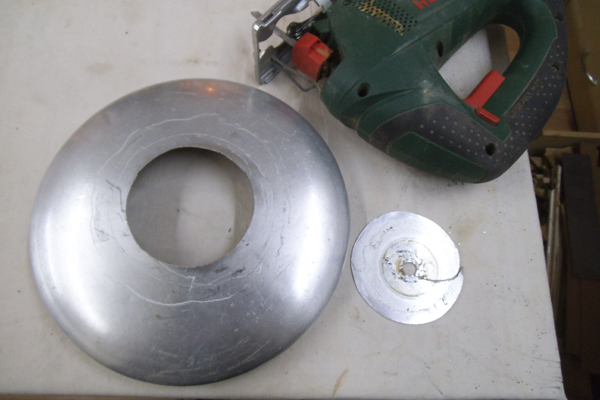 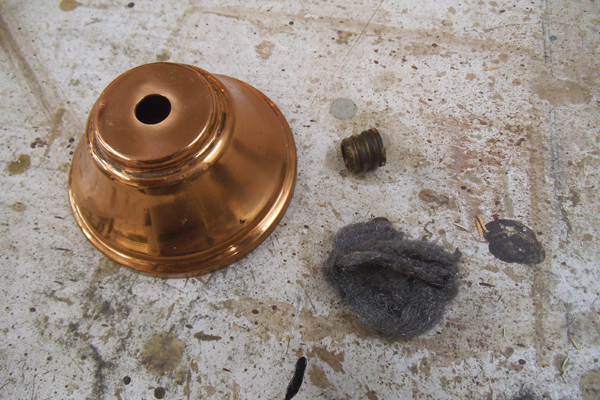 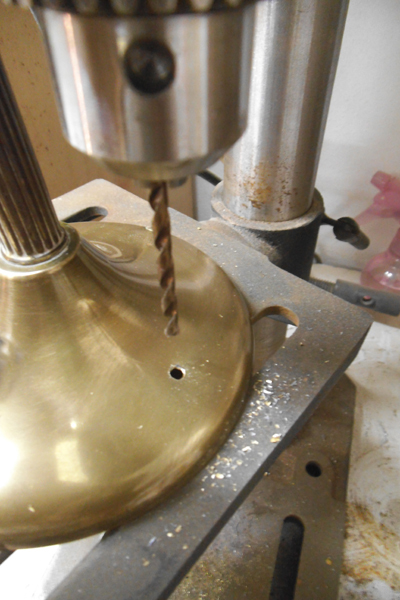 Here are the pictures taken during the MAKING process: The main parts used to make the sconce, and polishing them all. 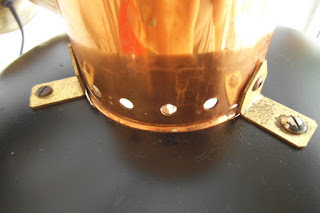 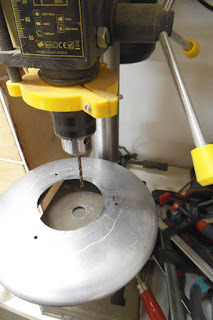 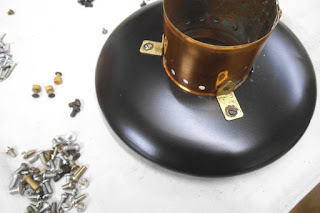 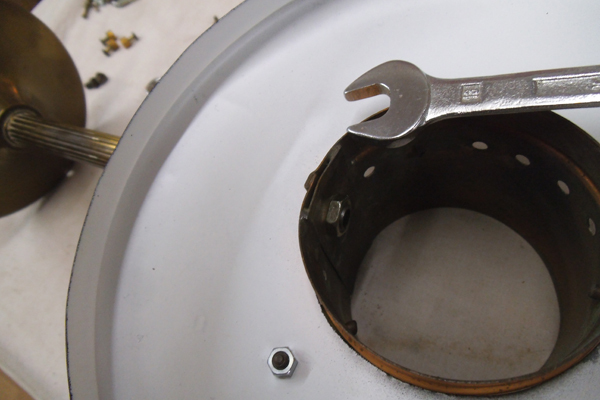 To make the shade, I cut the aluminium lid of an old kitchen pot, plus drilled the holes to attach the copper part on top. 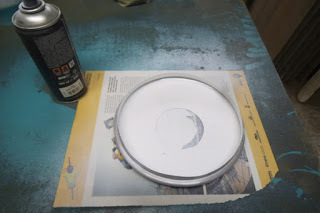 I also spray painted both the underside and the top side -in matte white and satin black. 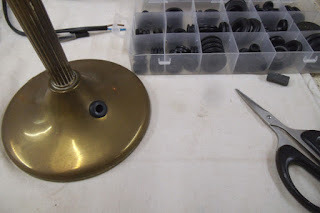 Mounting the parts that will form the shade, and attaching the arm to the structure. Finally, wiring and testing the lamp.